From hand-cut individual cores to sourcing the finest wood veneer available, no detail is spared in order to create an unparalleled masterpiece, just for you. You are the primary source of inspiration. It is your passion for snowboarding that guides us in our mission to build the finest snowboards in the world. 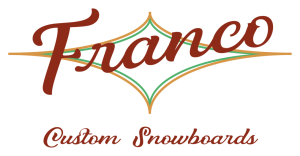 At Franco, we build every board with these parameters guiding our every move, every ingredient and every detail: performance, look, feel and durability. From American hardwood cores and house-cut veneers from the slopes of Jackson Hole Mountain Resort to high-tech ingredients like titanal, basalt, flax and carbon fibers, bio-resins and finally a beautiful hand-sprayed finish. And made in America, of course, at the base of the Teton Range. Check out some of the shapes that we have collaborated on with clients from all over the world. From the Tetons to the Japan Alps, on perfect corduroy to chest deep powder, you’ll find us out ripping on every corner of the globe. 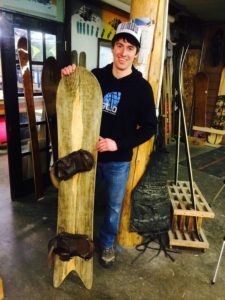 My story as a snowboarder began in Pennsylvania in 1984. Since then, I’ve been a rider, instructor, coach, trainer, guide, shaper and everything in between. I’ve spent 26 of these years in beautiful Jackson Hole, Wyoming. I’ve been fortunate to watch snowboarding evolve in its own soulful way, uninterrupted by the terrain park style that dominated every big resort in the world. Big lines, backcountry pow laps and the artful expression of free riding have always been at the heart of Jackson Hole and its riders. It’s what we do here. 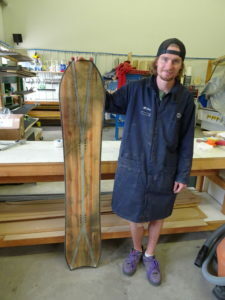 I decided to start shaping boards after a season-ending injury that happened shortly after landing in Tokyo years ago. This is when I met Taro Tomai, the founder of the legendary Japanese brand Gentemstick. This meeting changed my life. The beauty, the curves, the finish and the intentional design of Taros shapes was what I had been looking for for a long, long time. This is what snowboarding was destined to be, I thought. At that moment I had a new mission: to bring the Gentem style of “snowsurf” to the U.S., only with a uniquely American take and an American made board. 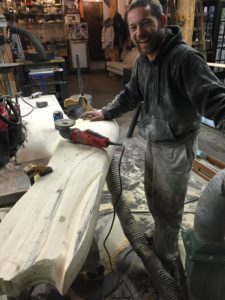 From Japan I headed home to begin a lifelong pursuit of shaping snowboards. 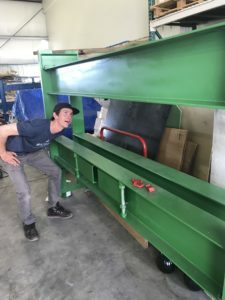 I began my apprenticeship under the guidance of Michael Parris and Mot Gatehouse of the infamous Igneous Ski Factory in Jackson Hole. After training four years under Michaels guidance, I set out on my own. 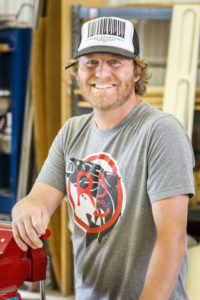 I now design, shape and finish my boards at the Maiden Factory, also located in Jackson Hole. Many people have helped me, guided me, influenced me and tutored me over the years. And to these friends, peers and family, I have tremendous gratitude. 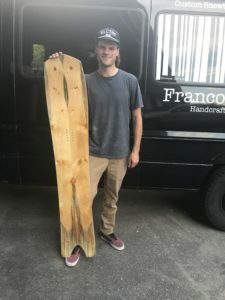 Especially, Shaun Cattanach from Burton, Mike Parris, Mot, Mike Tierney from Igneous, Taro Tomai, Domi Churiki of Gentem and all the “shapers” and crafters of snowboards worldwide. And, of course, without the original shapers like Sims, Burton, Barfoot, Milovich, Olsen, Saari, Grell, Troppman, Linkman and Sherman Poppen, who knows where we would be? Like what you see? Use the form below to tell us what you need!